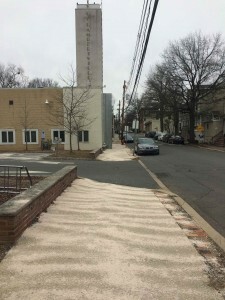 Whether a winter storm or a blizzard is on the way, the predicted snowfall due in the New Hope-Lambertville area starting late Friday is sure to impact local businesses. A steady foot of snow accumulation is expected through Saturday, and many stores, galleries and restaurants are faced with seeing their busiest day of the week snowed out. 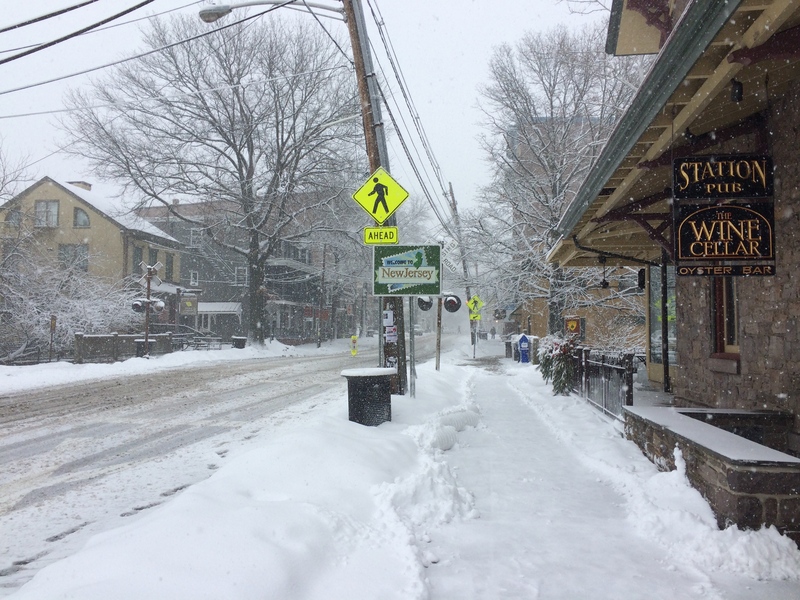 Already, the annual New Hope-Lambertville Winter Festival Parade has been canceled, as have all New Hope-Solebury School district activities, and more cancellations are on the way. With concerns over winds and potential power outages, many area business establishments are hoping for “local power” this weekend. “In the past, in extreme weather, we got a lot more locals on those days,” said Lauren Caponi, manager at Caffe Galleria in Lambertville. “When you’re a food establishment, even if there’s a lot of snow, locals will come to eat if we’re open, especially on Saturday or Sundays. . . retail would be harder,” Caponi noted. Those retail stores mentioned might not only see a freeze in business on Saturday, but also question whether to open at all. “Depending on how bad the storm is we might open,” said Retail Sales Manager Donna Haviv at Savioni in downtown New Hope. “We’ve been through this before . . . it will never make up for lost revenue, but we hope the following weekend will bring more traffic,” she continued. Also in Lambertville, Sara Scully says Acme Screening Room will be be open and offering its own special brand of cinematic entertainment. New Hope and Lambertville have faced notable floods, snowstorms and hurricanes during the past decade, and some local establishments have become renowned for remaining abuzz while many other places have shut down. Lambertville Station and Inn is open every day of the year, something owner Dan Whitaker prides himself on. “We’re not usually open, we’re always open,” Whitaker emphasized. “The only time we’ve had to close is when the city told us to close because we didn’t have any electricity, or because there was a worry about floods.” Lambertville Station, which is also a hotel, has an obligation to remain open for its guests, Whitaker explained. Asked why he focuses on being open all the time, Whitaker maintained that consistency was essential to the success of his business, a sentiment echoed by Wilfer Naranjo, chef and manger at Fran’s Pub in New Hope, which gained notoriety for remaining open, powered by a generator, during the loss of electricity following Hurricane Sandy. “Consistency is pretty much what it is. We’re always here no matter what,” said Naranjo. Likewise, John and Peter’s is legendary not only for being America’s oldest continually-owned music venue, but also for rocking on in the face of extreme weather. “We’ll be open,” confirmed musician and bartender extraordinaire Chris Williams. Additionally, “Uncle” Ernie Santone at Havana indicated the landmark establishment will be open for business. “Depending on how windy it is, the outside bar will be open also,” he said. Lambertville Station has already rearranged employee schedules, so workers that live far away can stay home. “Unless they want to work and stay at a friend’s house, that’s different. Some of our essential staff that live far away, like some chefs, they might stay overnight in the hotel.” Whitaker observed. “Consistency is the most important thing, whether it is service, cleanliness, or food. It has to be consistent, you can’t have bad service or good service. It always has to be good. Same thing with hours of operations,” he added. So, whatever Mother Nature holds in store for New Hope and Lambertville this weekend, it seems that at least a few business owners will brave the weather and open their doors to those intrepid souls venturing downtown after shoveling out and bundling up. Sounds like cross-country skis might be useful, too. Maybe he should think about his employees safety instead of being so greedy.